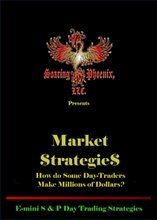 This E-mini S&P Day-Trading E-Book is written and illustrated for traders who are familiar with the futures markets; it is not suitable for beginners. 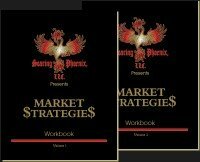 This E-Book is very easy to use and understand. With a click of your mouse you will turn the pages. There will be charts on the left page and the explanation on the right page. Click on a heading in the Table of Contents page and immediately that page is on the screen. 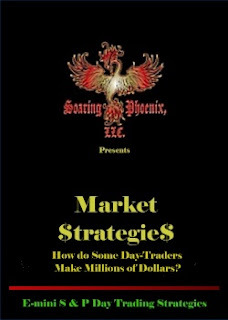 Traders will have the advantage of keeping these day-trading strategies at their finger tips as they trade. These are the same strategies that I use to trade the E-mini S&P everyday. They are simple to learn, and will put the profit probabilities on your side as you trade. 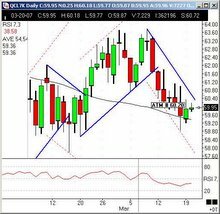 For only $99.95, two E-mini S&P points, you will have my help everyday as you trade.